When you submit a job application to the International Management Fund (IME), it is important to familiarize yourself with the IME policy for processing your personal information. This applies regardless of whether you are looking for unsolicited or based on a job posting. The personal information you provide in connection with the submission of your job application or otherwise as part of a recruitment process is used and stored for use only in the execution of a recruitment process and in connection with a possible recruitment. IME treats your personal information confidentially and in accordance with the applicable personal data law. In the event that we use external companies in connection with the recruitment process - including recruitment companies, providers of personality tests, etc. - this will be stated in the job posting. The disclosure of your personal information to any third parties is in accordance with written agreements with the parties concerned that comply with the applicable rules, including confidentiality requirements and deletion of information after the recruitment process ends. 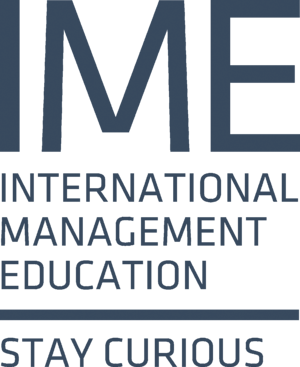 Since IME has a legitimate interest in finding the best suitable candidates for a job in IME, we can retrieve references from former employers, educational institutions or other relevant parties. Therefore, during or after the first call, you may be asked for your consent regarding IME obtaining the above-mentioned references so that we may contact these references if we consider you to proceed with the process. In certain situations, depending on the nature of the position, we will conduct a background check by searching information about you through publicly available sources such as LinkedIn, Facebook, Google, CVR registry, etc., to the extent that we consider the information to be relevant to the provision of your job.